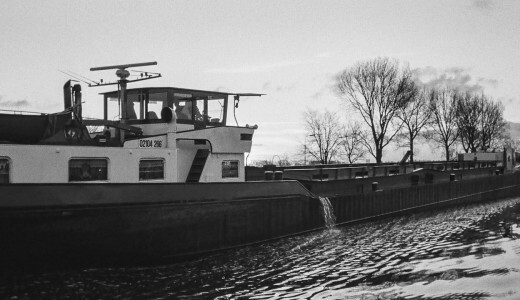 How important is the use of a CCD in the look of Leica M8 photos? 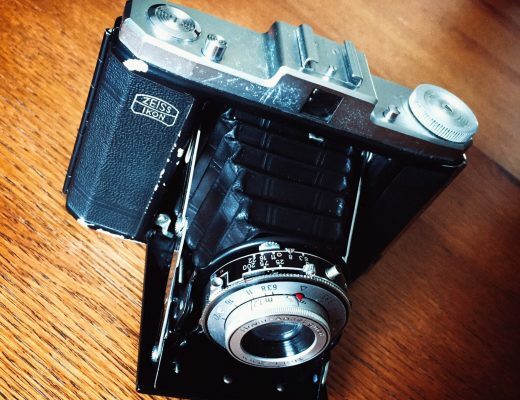 I’m not far off publishing my thoughts on the M8… As I’ve been rambling my usual way through the process of writing it I’ve had this nagging feeling about what to write about its CCD sensor. It feels like it wouldn’t be right to review the M8 without mentioning the lauded CCD contained within it… But really I’m not sure I believe what’s so frequently said about it is entierly right. 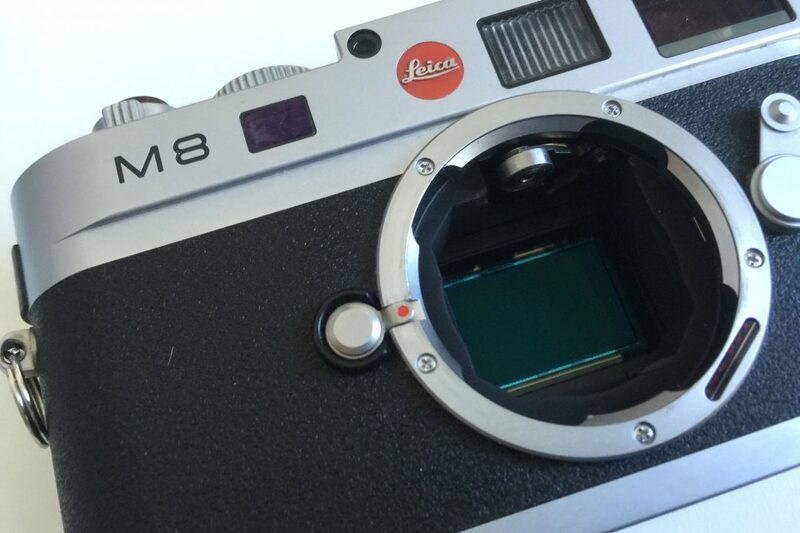 The use of a CCD is very often stated as a big factor in the way the M8 renders an image. In fact, the amount of times I’ve read online people stating that they prefer the CCD in Leica M8 to modern CMOS sensor cameras is almost unfathomable. What I wonder is just how many of these people know enough about sensor technology to make that claim, or if instead it’s one of those things that’s just being repeated verbatim on assumption. People like the look of the older cameras, the older cameras have a CCD, therefore it’s the CCD that makes all the difference… Right? But just how much does this use of a CCD in the M8 actually translate into “better” files? 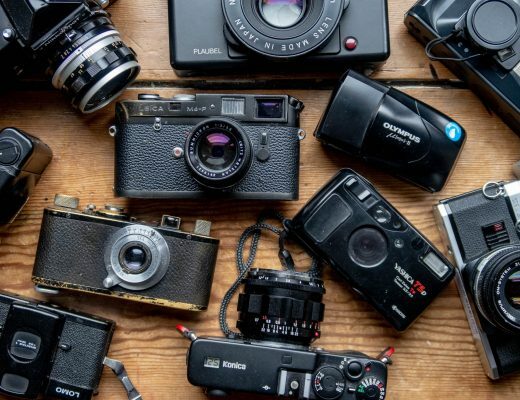 I remember having conversations with customers when I worked in a camera shop as the manufactures started using CMOS sensors in DSLRs and higher end cameras. We used to get the know-it-alls come in shaking their heads at the use of the inferior CMOS sensors. They just wouldn’t have it that as the CMOS technology was becoming mature it could now seemingly close to match, if not better the slower older CCDs in terms of both image quality and functionality. But despite their insistence, not one of them ever provided me with conclusive evidence that the CCD specifically makes for better photos. What really makes me chuckle is that these days you only really hear this sort favour being levelled at the M8. When was the last time your read someone saying they prefer the look of the files from the CCD in Nikon D100 compared to the modern CMOS Nikon D500? I’m sure there are people out there, but I’d challenge them with the same question as I have about the M8’s CCD. How much of the benefit can be pinned on the CCD, and how much is something else? The fact is, there are many processes that happen within a digital camera. Light is filtered even before it hits the sensor. Once it hits the sensor it has to be measured in intensity and colour. It has to be converted from analogue information to digital, and interpreted and processed by the camera’s computer. These computers aren’t even all made by the same companies. Nor of course are the sensors. All of these processes variable are going to have an impact on the resultant image, so to pin so much advantage specifically onto the use of CCD over CMOS to me at least doesn’t make a huge amount of sense. Of course the use of a CCD likely does have a impact on the files. CCD sensors are still used to this day in some medium format digital cameras. Phase One claim ultimate tonality from their CCD cameras, though I think it’s worth acknowledging that to get this ultimate tonality Phase are taking advantage of significantly high bitrates than the M8 is capable of – and of course much more mature technology than that found in the M8. As you will read in my review, I’m more than happy to indulge, and even agree with the perspective that the files the M8 creates have advantages or at very least nice results for some purposes, but I’m yet to read any conclusive report that convinces me any meaningful part of this is down to specifically the sensor technology and not something else. How can any single advantage or look to an image reliably be separated from the other variables enough to quantify the positive claims made? For reference, I’m not extolling the virtues of CMOS sensors here, short of their technical advantages with regard to things like live view, I simply don’t know which is “better”. I am just trying to challenge this so often stated favour for the CCD specifically in the Leica M8. As always, I’m very happy to be informed! Can you convincingly prove to me that it’s the use of a CCD that makes the difference in the Leica M8 and not something else within the wider light to digital-picture making process? If you have an opinion I’m all ears (eyes), but ideally I want facts. Please state, and if possible link me to references. This post will become the reference for this topic in my M8 review. I don’t have experience with Leica M8 but I have heard this talk many times, but I have the same feeling with medium format digital backs, the CCD are more punchy, some people call it fat pixels with different saturation than the new CMOS from Sony. The images is at least very different from Kodak, Dalsa and Sony sensors, even though it’s the same camera maker! Yes the CCD sensor just looks more natural vs the cosmos sensor. My photos on my older nikon d200 looks much better. Better color, saturation. The photos looks like high quality lecia photos. Everyone is buying the new cameras spending tons of money and all these new cameras images look harsh to me. The pictures look fake, distorted and washed out. The d200 is a secret for Leica looking photos. I just use a Nikon 50mm 1.4g and it’s amazing how the photos looks so natural and they don’t really need any touch ups or tweaking. You can get a user d200 for 150.00 on eBay and the photos will look better than a 3,000 camera not using a CCD sensor. Just my thoughts. Mike, I’d agree – but my point was more about how people specifically know this is due to the use of a ccd, and not something else? Their conclusion: with modern technology CMOS outperforms CCD for the visual spectrum of light (the ones we are dealing with). Other than the technical data sheets I believe (but of this part I am not sure) that the digital data processing involves some choices of the manufacturer of how different colours are interpreted and stored. As the sensor will have probably different sensitivities for different colours, some dedicated processing is applied. This affects how an image is rendered, but has nothing to do with the sensor technology. I’m not really intentionally making any comparison. I’m just hoping for some solid rationale the so oft repeated sentence “I prefer the CCD in the Leica M8”. As I say, I’m not even questioning the validity of the statement from an aesthetic point of view – just trying to understand why the favour gets pinned to this specific component within the chain. I have zero proof for what I am doing other than an article written by a U.S. photographer whose name I have forgotten. My unnamed photographer said (approximately) that some day we will look back upon these ccd images and start buying these older ccd cameras for their unique look? And I agree with him. I started with a Nikon D40, graduated to D40x, D80 and D200. I have other ccd sensor cameras, but, they are point and shoots e.g., Nikon Coolpix P7100 and … others. The selling price of these cameras are now so low that I still have them. However, I still use them and like them very much – probably too much. I will be buying an M9 as soon as they drop in price further (if ever?). I don’t know what it is, but it is something – probably the ccd + the other bits = the whole package, I don’t know. These are my thoughts and very loosely held belief(s) ( I do love my CMOS cameras) and the thoughts of my new best friend the unknown photographer. Oh, and I have kept these cameras for shooting and not for future selling. I don’t know the Leica, but when switching from a Nikon D200 to the D300, I always thought the D200 had better colours and more noise. But then this is like comparing oranges to apples. On my website I’ve been shooting the RD1 a lot recently. If you wanna see samples, check out the photo J tab and the top two galleries are mostly shot on the rd1s. I’m still willing to do a review on the camera, although I’m not sure how to go about it haha! Can we see a side-by-side comparison of the same scene, same lens, same settings? Ibam a simple man.? You would possibly see a difference, but the point is, it would be very hard to pinpoint any difference as being down to the sensor type itself and not something else in the image making chain. It’s an interesting point you touch on Hamish. From my understanding the output from a digital sensor is affected by a great number of design decisions – obviously the underlying architecture matters, but the colour filter array (CFA) and software profiling seem to matter as much or maybe even more. There’s a clear difference between the M8 & M9 for instance, despite sharing the same architecture and manufacturing methods. A lot of people seem to only look at the spec sheet when comparing outputs, and conclude that one camera has a CCD sensor and another a CMOS one and attribute all the differences to that. Exactly my point… and really this is the idea I am trying to challenge. My Understanding is that the M8 and M9 sensor was designed by Kodak to mimic Kodachrome? Once again this is all anecdotal. I am also a simple man. I must start looking for proof of a thing. I think there’s a very interesting question connected to the one you’re raising, Hamish: did camera manufacturers make certain decisions that affected the color output/rendering of sensors in the “age of CMOS” that led to a certain look from those sensors that have little to do with the underlying technology, but now that change is seen as something that sets apart CCD from CMOS. All this to say: You’re probably on to something, and probably right to be sceptical when people chalk it up to CCD vs. CMOS. Few months ago, I purchased an M8 because the price was low enough to make the switch from Leica film to digital, and after reading your review and other comments. I purchased a D200 about 10 years ago and did not really used it since I was using film for 90% of my work. Now, film is expensive, harder to find and very expensive to process and print, and (shame on me) haven’t made prints in about 6 months since getting the M8. Also the value of my D200 has decreased 10-fold since buying it new. The M8 has limitations, the 1,33 crop factor is a pain and also was on the D200. This being said, the highly “subjective” notion of look is to me only valid if you make prints of your work and compare them. My work is online and I do print photozines with blurb every couple of months. I just find that the M suits me and frankly, when you put leica glass in front of it (and will add Zeiss glass also not to offend anyone) it is very hard to have lousy results. So, end of story, if you can find an M8 buy it and it still will maintain some value when you upgrade (unlike a Nikon). I Like the M9 for it’s Kodachrome like images, however I think this guy has put the M8/M9 vs M240 to rest in this in-depth article. That test was performed using Lossy DNG-8 compression with the M9. This mode records 256 levels of light rather than the 14-bit (16384) levels produced by the sensor. The M240 uses lossless compression. The test should have been performed using lossless files on both cameras. The CCD is more efficient in collecting light falling on the sensor at steep angles compared with the CMOS sensor. I’ve used the Jupiter-12 with the M8 and M9, rear optic very close to the CCD, “uncoded”, no correction for vignetting required. CMOS sensor have an advantage with “double-sampling” the image, giving a 3dB gain in dynamic range, but require larger non-uniformity correction for light fall-off at the edges. It would be interesting to see someone with the M9 and M240 use a wide-angle lens such as the J-12 with lens coding disabled.